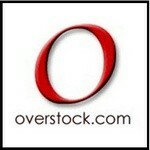 Overstock carries the world's best selection of watches, with more than 20,000 to choose from. The easy-to-use site makes it simple to find exactly what you're looking for - whether that's a basic Timex for everyday use or a diamond-studded, vintage Cartier. Free shipping on most orders, and an optional "Club O" Gold rewards program, are customer-friendly perks designed to earn your business. Overstock is the best online watch store we've found. FAuthentic Watches should be your first stop if you're hunting for a Swiss-made watch at the most competitive price. This retailer has been around since 1979 and has an excellent reputation for treating customers well, including free next-day shipping and extended warranties. They won't be your shop of choice for basic watches or wearable tech, but for brands like Longines, Breitling, and Tissot, you won't find a better choice than Authentic Watches. Zappos is a one stop online shopping experience for fashion lovers and for all who seek a convenient and low risk shopping experience. Zappos originally entered the online scene entirely focused on footwear but with time, expanded their inventory to include clothing, accessories, housewares and more. Their selection of watches may not have the quantity you might find with specialty retailers but they do have a broad variety that includes the most current trends and seem to have something to appeal to everyone. Brathwait carries three main styles of wristwatch: Classic Slim, Swiss Classic, and Swiss-Made Automatic Minimalist. While their prices are very competitive compared to other stores with watches of similar quality and style, Brathwait only offers their own brand. If you're looking for a wide variety of watches to choose from, you'll probably need to look at a different retailer. World of Watches used to be the go-to store for buying watches online. Their selection is good and their prices are consistently lower than other retailers'. But, recent customer reviews describe many problems, especially with WoW's warranty coverage (or lack of it). Saving money is great, but only if you still get a high-quality watch - and when buying from World of Watches, there's no guarantee that you will.